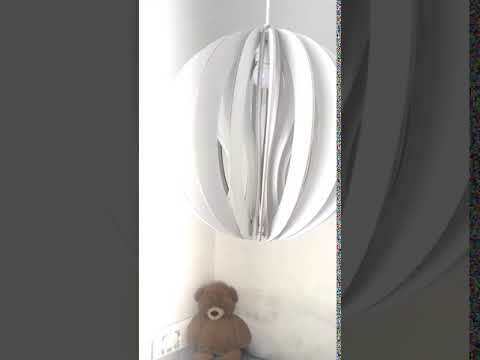 Design lamp for Scandinavian styled home. Helmi, meaning a Pear in english, l is an elegant lamp that fits into a any space. The impressive multidimensional shape makes the light beautifully reflected and creates a warm and relaxed atmosphere in your home. 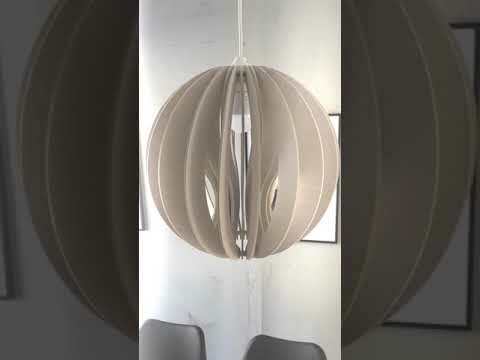 This very beautiful and high-quality HELMI ceiling lamp made from Finnish certified birch plywood is designed and manufactured in Finland. All of our lighting series products are surface treated with products that are environmentally friendly and ecological. 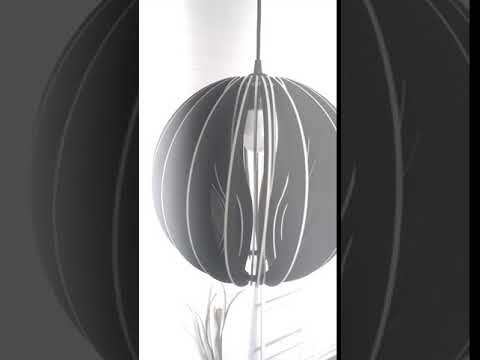 A modern and simple beautiful lamp for indoor use. Made of Finnish 3mm strong birch plywood. * Please note that the lamp does not come with a bulb. The lamp is designed for 60mm wide standard E27 LED bulbs, the MAX 20W that can be found in a variety of performance, color tones and features. If you need a longer lead, always first email us at the address below before subscribing, and we´ll find together a cable of the right length for your home.